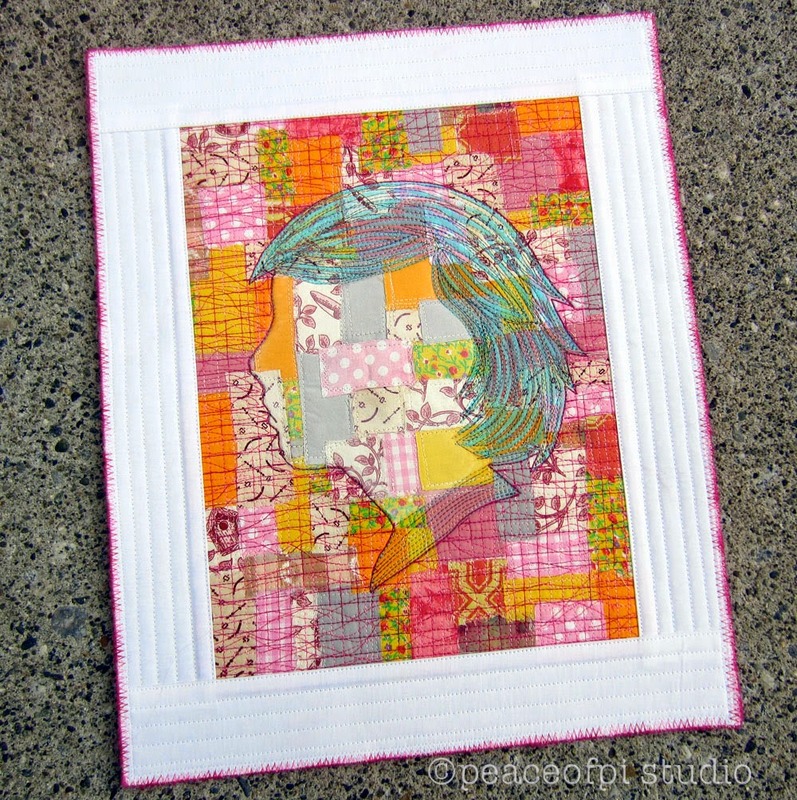 This patchwork silhouette girl is an art quilt in fabric and thread. The fabrics are raw edge and heavily stitched to create the profile details. The girl's hair is stitched in variegated threads adding vibrancy and fun to her colorful personality. Looking for unique fabric for quilting and sewing? Check out my fabric collection. You can buy fat quarters or yardage. Made and shipped from the US. Cool eh.